3 Bedroom Semi Detached House For Sale in Stockport for Asking Price £290,000. 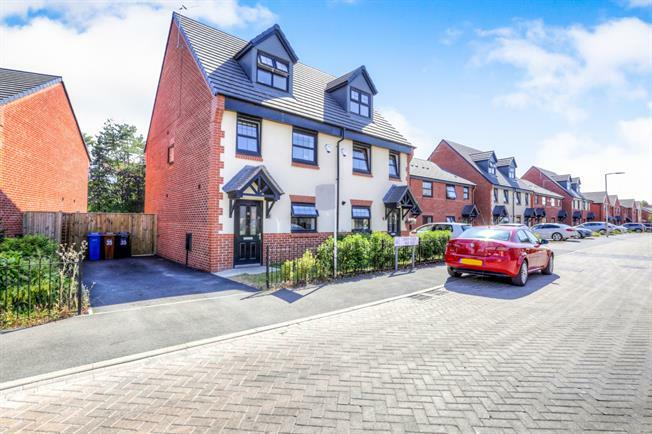 A stunning three bedroom new build home. Located in the ever popular area of Hazel Grove this immaculate home is presented over three floors. To the ground floor is an open plan kitchen dining area plus spacious living room with patio doors overlooking the lawned garden a superb space for entertaining both family and friends. To the middle floor there are two good size bedrooms plus bathroom and the top floor consists of a stunning bright open and airy master bedroom with en suite bathroom. The property also benefits from having off road parking for up to two vehicles. A stunning new build home in a prime location with en suite bathroom and off road parking.